Altec History – Altec Integrated Solutions Ltd.
Altec is founded by control system designer and programmer (now company president) Bill Long, making its name as a controls company. Altec begins its operations in a 3,500 square foot facility in Coquitlam, British Columbia, Canada. Altec’s early days include service work and small projects for local customers in various industries including the veneer and plywood manufacturing industry and astronomical observatories. Altec completes its first lathe controls project, including the company’s original 5-laser, PC-based XY scanning and optimization system, and PLC/Delta RMC-based veneer lathe and charger controls—the first in the industry. Altec also delivers its first mechanical product, the Altec Clipping Trash Gate and the first Altec Thickness Quality Monitor (TQM). Altec completes its first major projects in the entertainment industry, supplying drives and controls for Disney’s Soarin’ Over California attraction at the Disney Epcot theme park in Orlando, Florida and the Space Mountain roller coaster attraction at Disneyland Resort in Anaheim, California. 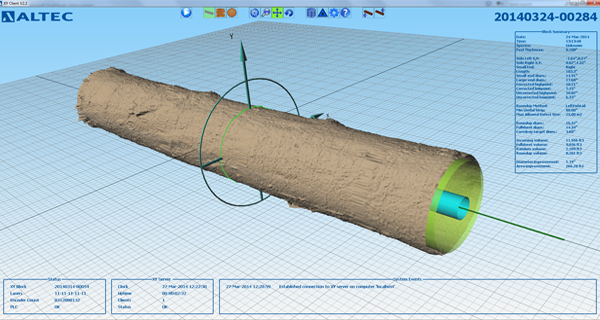 Altec introduces a new veneer clipper controller and its new XY Scanner 3D, 32-laser, PC-based XY scanning and optimization system. Altec introduces and delivers its first green veneer stackers and completes controls upgrades to three veneer peeling lines. Altec also delivers an electrical and control system for the Atacama Cosmology Telescope to be deployed in the Atacama Desert in northern Chile. Altec completes the electrical and controls upgrade for the Disneyland Monorail trains for the Disneyland Resort in Anaheim, California. Altec completes the commissioning of the ride control system for the Harry Potter and the Forbidden Journey attraction at the Universal Islands of Adventure theme park in Orlando, Florida. This is the most complex ride control system on any ride to date and was 100% designed and built by Altec. The ride is also the most successful attraction opening in Universal Studios’ history, and marks a turning point in the amusement park attraction industry. Altec also introduces planetary roller screw technology for veneer lathe applications. Altec relocates to a larger 7,500 square foot facility in Coquitlam, BC. Altec delivers drives and control system for the Big Thunder Mountain Railroad roller coaster attraction at Disneyland Resort in Anaheim, California. Altec launches three new products: the Altec Electric Charger—the first fully-electric charger in the veneer and plywood industry using planetary roller screw technology, and the Altec XY Scanner laser line scanning and optimization system for the XY charger and the Altec Electric Clipper. Altec delivers the ride control system for Harry Potter and the Forbidden Journey attraction at Universal Studios Japan in Osaka, Japan. Altec also develops the ride control system for the Flying Theater ride system developed by Dynamic Structures (located in Port Coquitlam, BC). Altec delivers the ride control system for Harry Potter and the Forbidden Journey attraction at Universal Studios in Hollywood, California. Altec acquires Demco Manufacturing, Inc. (located in Diboll Texas). 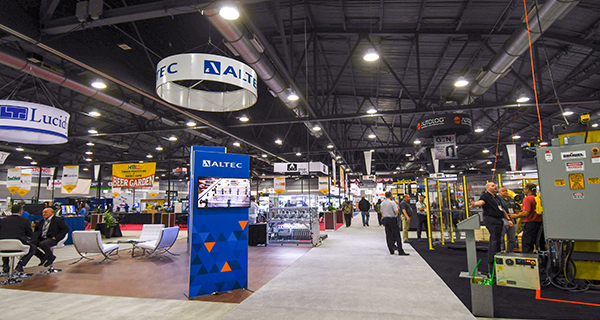 The acquisition of Demco adds 28,000 square feet of steel fabrication and machine shop space along with the associated capabilities to the Altec group. “Demco has a new and exciting lease on life, and things couldn’t be better.” – Charles Schmidt, DEMCO President. 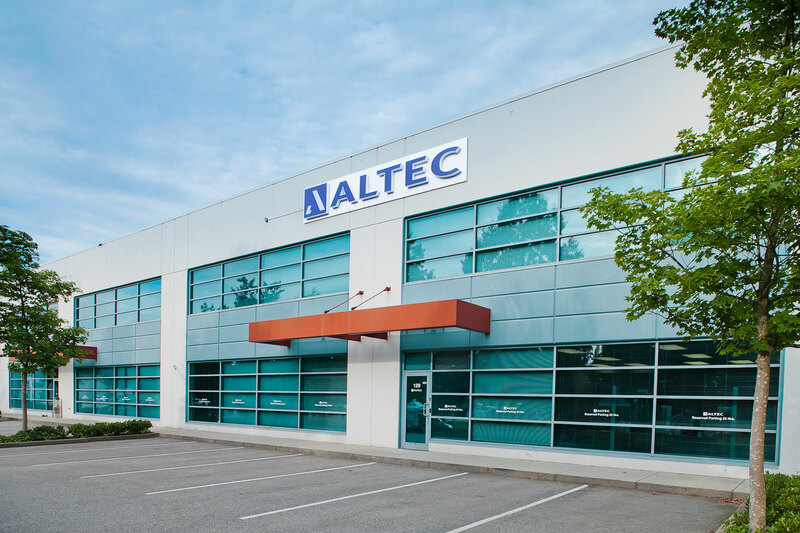 Altec relocates to a larger 22,000 square foot facility in Coquitlam, BC. Altec also delivers the ride control system for The Incredible Hulk Coaster at the Universal Islands of Adventure theme park in Orlando, Florida. Altec delivers its first ride control system for a roller coaster produced by Bolliger & Mabillard of Monthey, Switzerland. Altec also delivers its first carriage and first backup rolls manufactured at our subsidiary, Demco Manufacturing, Inc. in Diboll, TX. Altec launches two new products—a new steel fabricated carriage complete with electric servo technology, and the Altec Clipper Scanner which provides accurate and consistent optimization of veneer ribbon clipping into sheets based on adjustable specifications. Altec delivers the ride control system for the Batman attraction at Warner Brothers World in Abu Dhabi, UAE.